Компьютерный курс морского английского языка Maritime English разработан под эгидой Международной морской организации (IMO) и используется многими ведущими морскими академиями и другими учебными заведениями для подготовки моряков и специалистов около морских отраслей. В курсе делается упор на овладение международными стандартами общения на английском языке в рамках морской терминологии. In the world of international shipping, with multi-cultural crews and global trade, effective communication onboard and between ship and shore is essential. As a consequence, global standards governing communicative competency have been strengthened by the International Maritime Organization (IMO) through its legal instruments. More generally, it is now recognised that globalisation of maritime services, including the supply of seafarers, has led to the adoption of Maritime English as a career tool, permitting mobility, flexibility and competitiveness. Consequently, national authorities and training institutions have found it necessary to develop effective training strategies which meet these new demands. 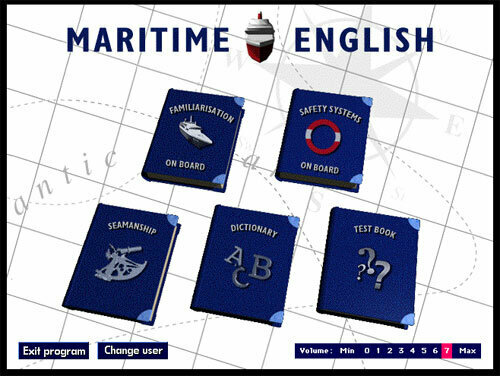 While many maritime institutions are now delivering Maritime English courses, there are few resources available for ME teachers to develop or upgrade the skills necessary to provide a high standard of training. Accordingly, this programme has been designed for those professionals engaged at maritime institutions in teaching Maritime English and those teaching General English and who may move into teaching Maritime English.